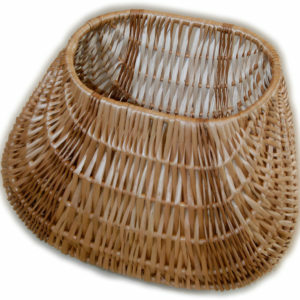 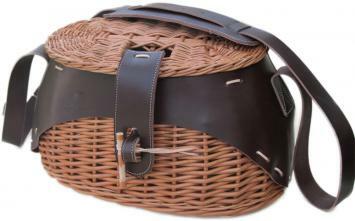 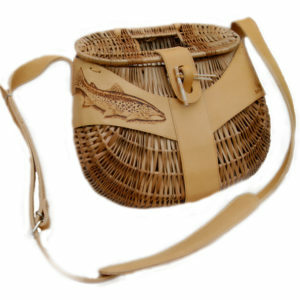 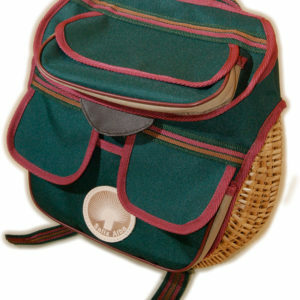 The basket is made of boiled wicker and has a strong construction. 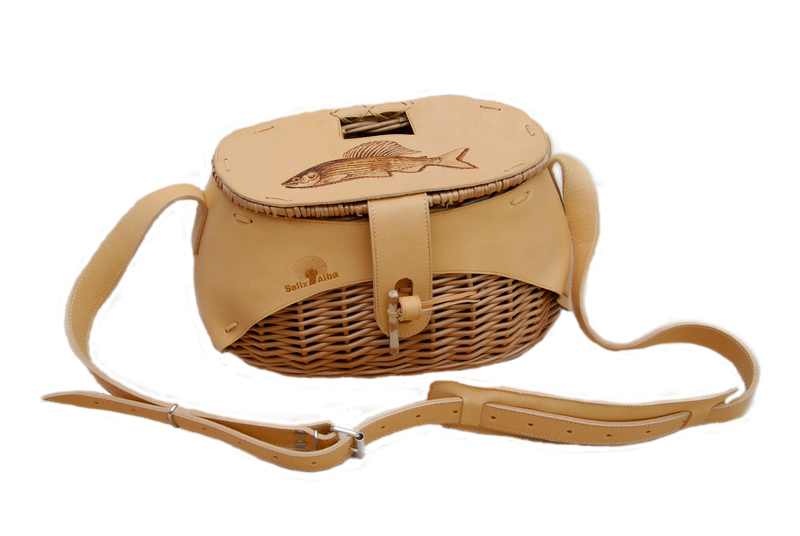 It is upholstered with Russia leather in natural or brown colour, which protects the waders from damage and has a comfortable shoulder strap. 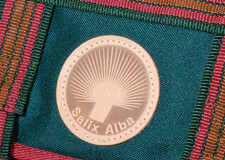 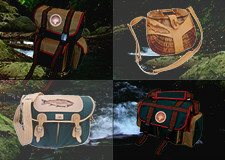 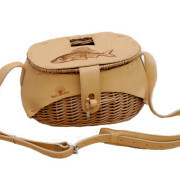 It is possible to place handmade trout or grayling embroidery.